The event will cover the full range of app marketing techniques including App Store Search Ads, mobile growth hacking, ASO, user engagement and retention, analytics, deep linking and video promotion. Presenters include experts from eBay, TED, Zynga, The New York Times, Jet, SeatGeek, Starwood Hotels, Harry’s, Dashlane, Google, iHeartRadio, TodayTix, Clarity Money, Duolingo and Viacom. START ENGAGED USER ACQUISITION NOW! 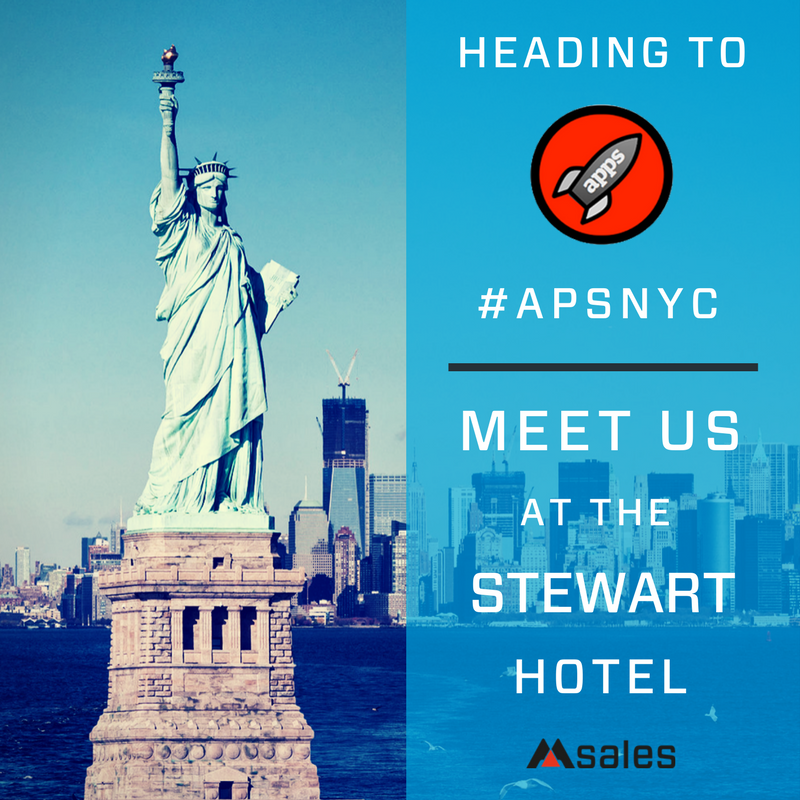 Make your way to the msales table, where we will be presenting our unique brand of proprietary engaged user acquisition. Used by the leading players in the mobile industry, we are completely brand safe and our tech-driven monetisation approach provides outstanding growth and reach in the market.